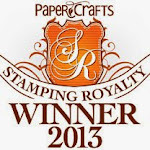 My Impressions: Simon Says Stamp August Card Kit Reveal Day & Giveaway! 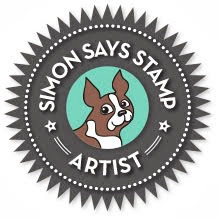 Simon Says Stamp August Card Kit Reveal Day & Giveaway! Today is reveal day for the Simon Says Stamp August Card Kit: Seeing Stars! This month's kit is LOADED with crafty goodness: a fabulous star-themed stamp set called Seeing Stars, some Pebble Americana Patterned Papers, Tim Holt Motif Resist Papers, Simon's Vented Star Die, Simon's Fireworks Stencil, as well as Tim Holtz Festive Berries and Chipped Sapphire Mini Distress Inks! Oh, and I almost forgot... 4 sheets of Simon's yummy cardstock! This month's kit is just perfect for all sorts of techniques! I took a piece of the Tim Holtz White Woodgrain Mofit Resist paper, cut it down to 4.25" by 5.5", and ink blended the Chipped Sapphire Distress Ink over the entire panel. As you can see, there are areas that resist the ink! I then used Simon's Stitched Rectangle Dies to die cut a piece of Simon's Soft Navy Cardstock as well as their White Cardstock. I used Simon's Fireworks Stencil with the Festive Berries Distress Ink on the White Cardstock and then stamped an image from Simon's Seeing Stars Stamp Set over it with Memento Tuxedo Black Ink. I coloured the heart in with one of my Copic Markers before covering it with Glossy Accents. Once dry, I stamped the sentiment from the same stamp set with Versafine Onyx Black Ink and pieced the card together. What a fun looking Kit! Lots of different products to play with! Great graphic for your sentiment! Love that sentiment with your very cool design, fabulous!!! What a cool concept for a card! This is such a creative card design Sarah! Love the way you used the heart and fireworks together. Looks like a fun kit! I like that resist paper too. This kit has so many elements that I love. I really like how you made that heart burst and the sentiment works so well with the design. This stamp set is so unique and fun and I love the addition of the glossy accents! This may be one of my favorite kits so far because it's so versatile. Thanks for the chance to win one, and for your creative project share! I love the effect you achieved on the heart - it looks 3-D! I like the blue woodgrain paper too! This looks like an awesome kit! I've never had a Simon kit - this looks like the kit for me! This looks like a fun kit and your card is gorgeous. I couldn't wait to see what you would do with this kit Sarah, and I am not dissapointed! A joyously explosive heart, love it! very clever design, Sarah! love this kit! What a cool card - another great kit from Simon Says Stamp. What a fun card! There are some really cool and different products in this month's kit. Thanks for the chance to win. VERY cool!!! Love the background & that amazing heart. I really like what you did with the wood grain background. Another great card! Sarah, like the fireworks behind the heart! That Tim Holz resist paper looks like all kinds of fun and the entire card kit from SSS is fabulous! Really like how you used the products in the kit. Lots of fantastic goodies in this one. Sarah your card is gorgeous. What a fantastic kit, love the red, white and blue. Thanks for sharing. 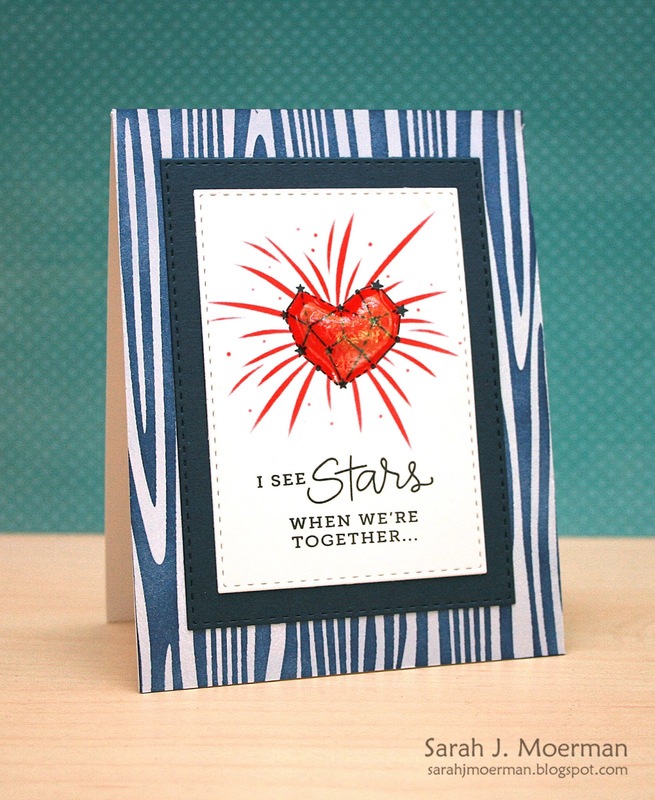 Love that bold woodgrain print and the fireworks stencil! I love your card! What a cool kit! Love the patriotic flair of this one! Ooh, this is so cool, Sarah! What a fun kit this is!! What a fun card! Love how you used the fireworks stencil behind the heart! Great combo of colors and patterns. I must get Tim's paper pad....so cool! Such a great kit! Love all the colors and the stamp set! You created a lovely card with it! Wow....spectacular card! Love the resist paper background!! That's a fun sentiment. The blue wood grain is a cool look! Thanks for sharing. I love what you did with that heart.Thanks for sharing!